Almost every novel has a climax near the end of the book. This is when all the plot strands come together and the heroine (or hero) faces her greatest challenge. The tension is so high that the reader perches on the edge of her seat, unable to tear herself away from the story's action. Here are some tips how to give your readers an unforgettable climax. * Don't rush the climax. This is what the reader has been waiting for. Spread it out over a whole scene, perhaps even several scenes. * The protagonist (hero/heroine) and the antagonist (villain) face each other in a final showdown. They are not equally matched: The villain is prepared, knows the terrain and has better weapons while the heroine is injured, exhausted and unarmed. * Raise the stakes. During this final showdown, a lot is at stake, for example the heroine's survival, the lives of loved ones, the existence of an endangered species, the future of the planet and world peace. * Increase the excitement by adding an element of danger. Does your heroine have a phobia? Perhaps she is scared of fire, of heights or of snakes. Whatever frightens her, if she has successfully avoided it during the novel, during the climax she must confront her fears. The only way to survive and to rescue her loved ones is to enter the burning building, to scale the cliff or to jump into the snake pit. * Choose an unusual location, perhaps one which is weird or dangerous - or both. How about a derelict rollercoaster, the rainforest canopy, a sinking cruise ship, a cable car dangling above an abyss, a dam about to burst, or an abandoned mineshaft? If you have questions or want to discuss your ideas how to make your climax scene exciting, post a comment. I'll be around for a week and will reply. I love answering questions! 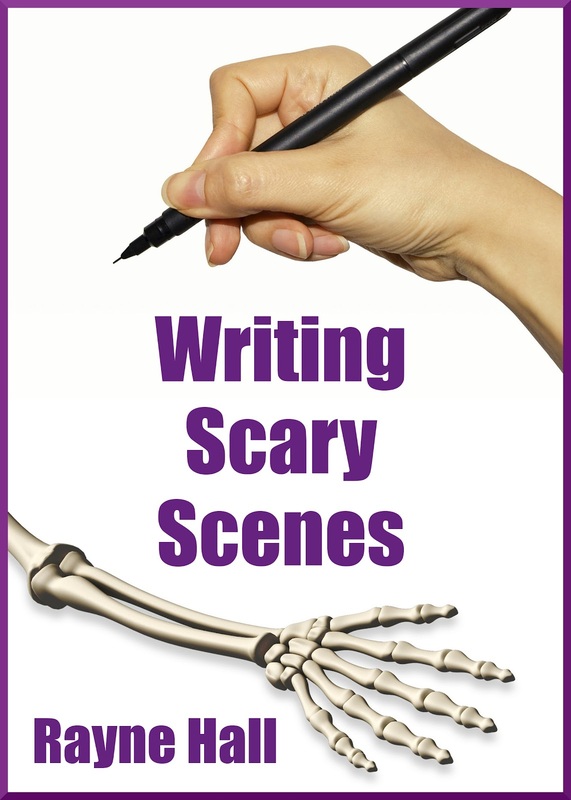 Use this book to write a new scene, or to add tension and excitement to a draft. You will learn tricks of the trade for "black moment" and "climax" scenes, describing monsters and villains, writing harrowing captivity sections and breathtaking escapes, as well as how to make sure that your hero doesn't come across as a wimp... and much more. Rayne Hall is professional writer and editor. She has had over 30 books published under several pen names, in several genres (mostly fantasy, horror and non-fiction), in several languages (mostly English, German, Polish and Chinese), by several publishers, under several pen names. Her horror stories have been published in many magazines, e-zines and anthologies, and some have been gathered in the short story collections Six Scary Tales Vol 1, 2, 3. 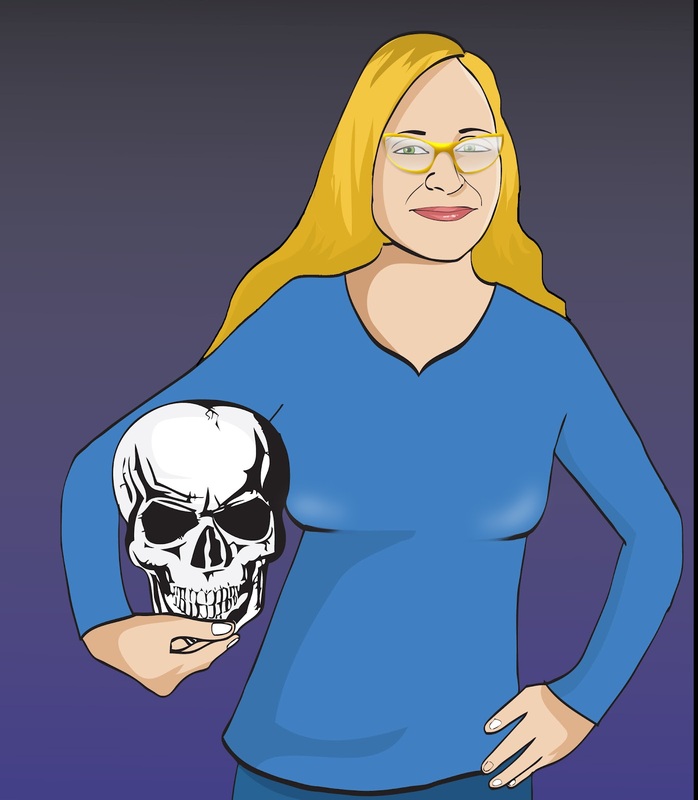 She is the editor of the Ten Tales series of themed short story anthologies, including Haunted: Ten Tales of Ghosts, Scared: Ten Tales of Horror, Bites: Ten Tales of Vampires. She teaches online workshops for intermediate, advanced and professional level writers. Great post, Rayne! Stephen King is the master at taking ordinary, everyday things and scaring us to death. I like to add humor to my horror. My most reason short story, LIKE MAGIC, is available on amazon.com. Not only is it scary, it's funny AND had a twist ending! 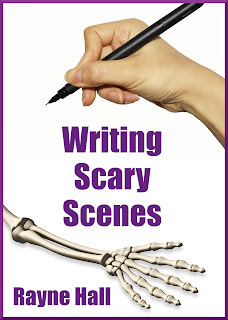 Wonderful post, with critical elements to keep in mind when writing that all-important scene. To me, the two most important scenes in a novel (and the two I sweat bullets over, LOL) are the opening and the climax. I constantly go over my opening to ascertain it's strong enough. As for the climax, it's the payoff of a readers long journey and it had better deliver. I thought the points you raised were exceptional. Well done! Great post and very informative, thanks,Rayne. I also fb, stbm, twitter the post it was so good. Although I've been writing and publishing as long as you, this was a great refresher post, Rayne Thank you! I found the link on the indie loop. Do you sweat bullets over the opening and climax scenes because they are so important to the reader, or because they're so difficult for the writer? Thanks for spreading the word, Marian L! Your help is appreciated. Which of the points did you find most useful as a refresher for your own writing?